Provide perfect sound for the welcome addresses for the Germany National Soccer Team after landing at Berlin´s Tegel airport after winning the World Cup in Brazil. The Sennheiser LSP 500 PRO is a multi-functional wireless PA system with high audio quality that is very fast to set up and made the event a huge success. 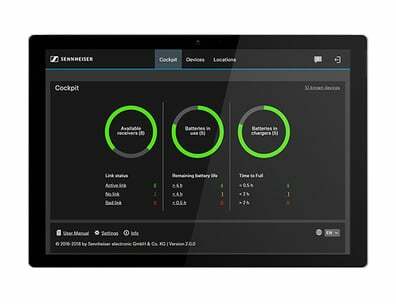 "Thanks to Sennheiser audio technology, the event was a huge success for all those involved." 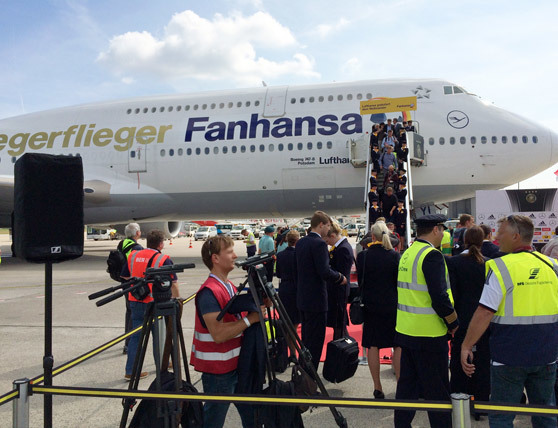 On 15 July 2014, the football world champions landed at Berlin’s Tegel airport. They were given a rapturous welcome by the waiting fans and journalists. World champion sound as the players left the plane and on the visitors’ terrace was provided by eight LSP 500 PRO from Sennheiser. Profile Full-service-agency that organizes and leads events of all different kinds.